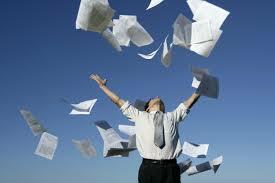 Going paperless is ALL the rage these days in real estate! But what does that mean, and how can YOU get started? In this webinar GoodLife Team’s Senior Associate Garry Wise and I help remove the fear and address everything you need to know. What tools you need to go paperless? How do you organize it all? You can’t do it overnight, so HOW do you get started? How do you train your team and become a specialist? Garry Wise and the GoodLife Team are passionate about making collaboration easy and focusing on the consumer and agent experience. In this webinar we give you a sneak peek into their paperless world and show you how it’s done. Which apps do they use for managing buyers, transactions, and how do they keep it all digital? Dig in and let us know what you think! If you’d like more information on webinars like this one, subscribe and you’ll be the first to know!